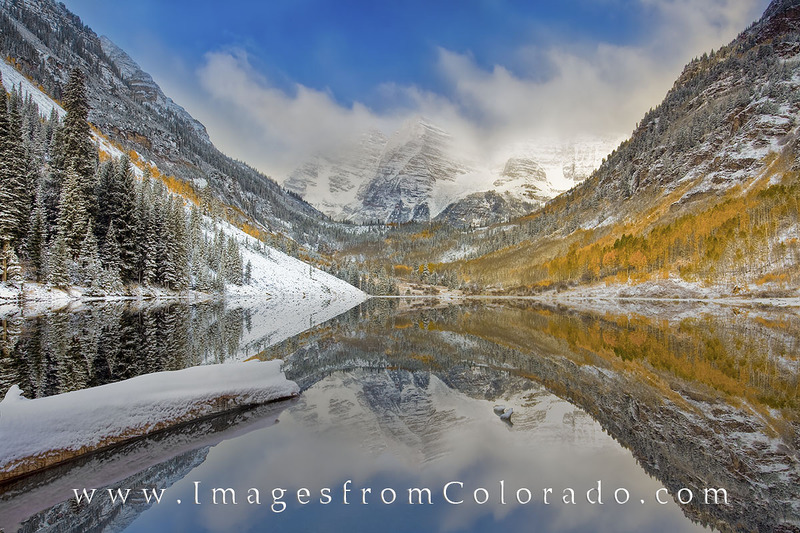 I arrived before in the dark - well before sunrise - to photograph the Maroon Bells. Soon after, the snow began to fall, and as daylight approached, I did not know if the clouds would clear enough to capture the distant 14ers rising into the gray morning. Fortunately, the light began to filter in and soon revealed golden aspen against a snowy background. This scene at Maroon Lake near Aspen was truly a unique experience. Photo © copyright by Rob Greebon.